One of two base coffee cake recipes in this box. The second is here. 350 deg. – 35 – 40 min. Spread enough batter to cover bottom of pan. Spread 2 – 10 oz. frozen strawberries, thawed and drained. Top with remaining batter. Slightly odd–raw berries with a cooked berry glaze. Topped with whipped cream. 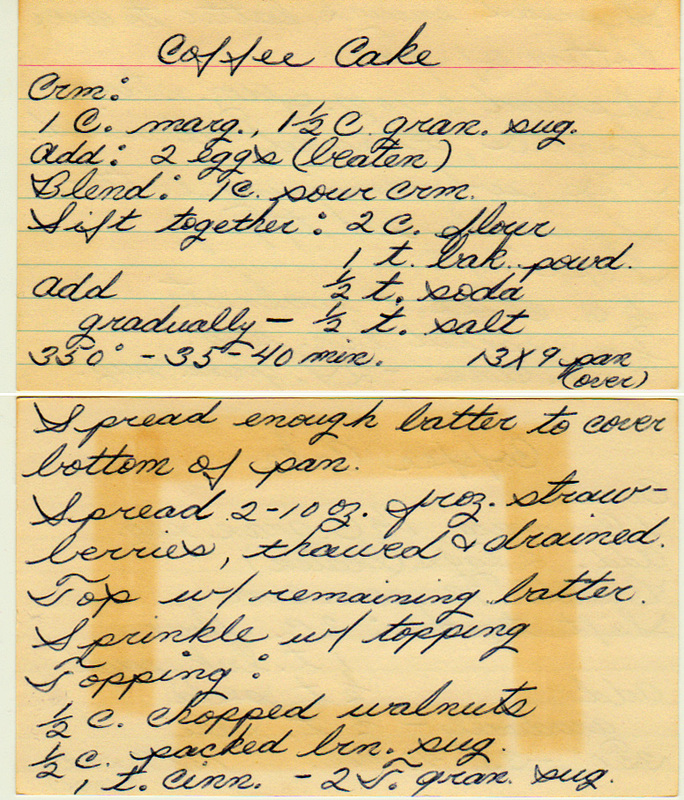 Includes the second of two base coffee cake recipes in this box. The first is here.